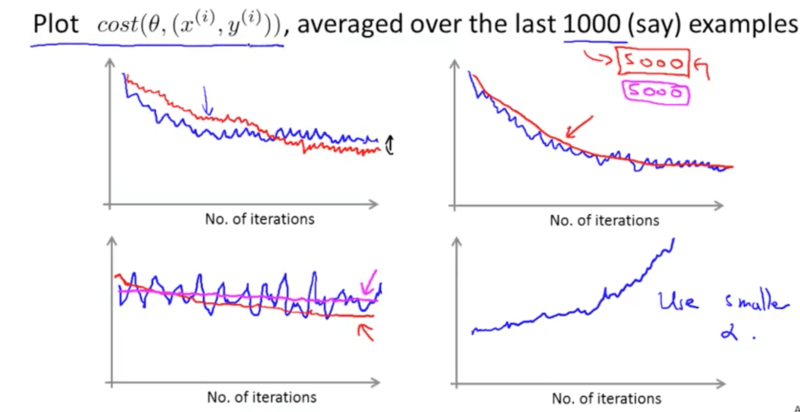 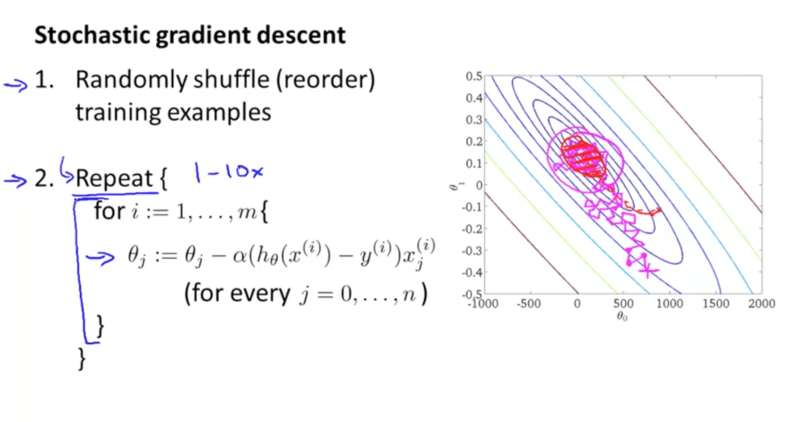 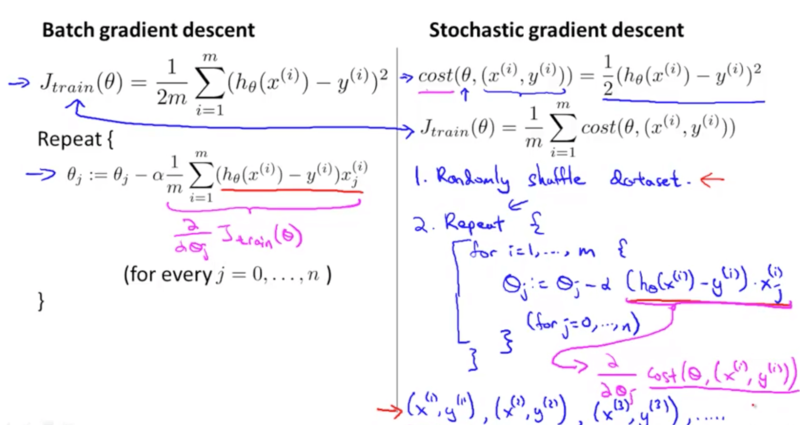 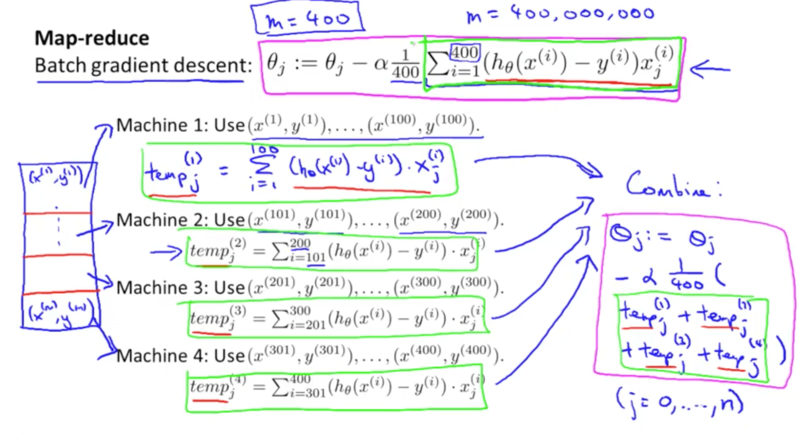 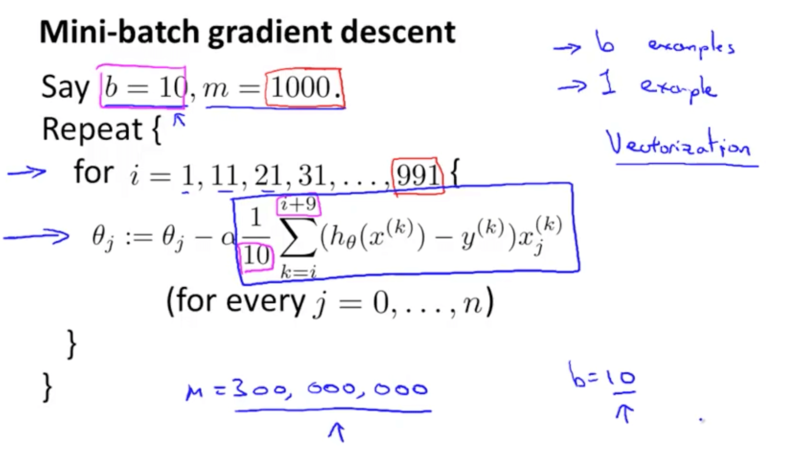 Gradient descent with large data, stochastic gradient descent, mini-batch gradient descent, map reduce, data parallelism, and online learning. 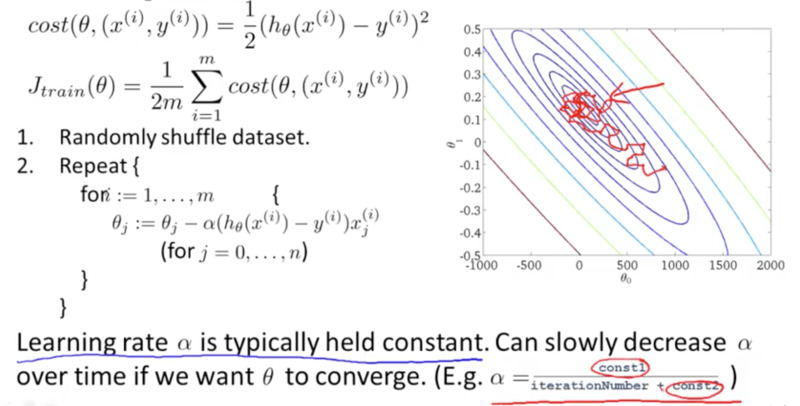 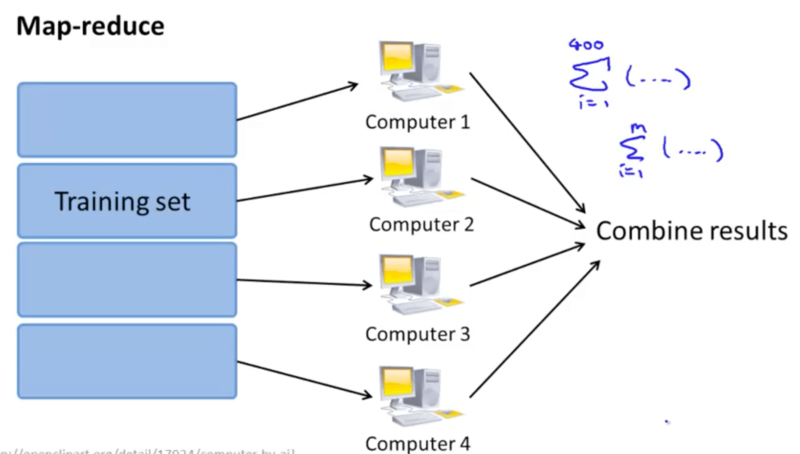 Why do we want large data set? 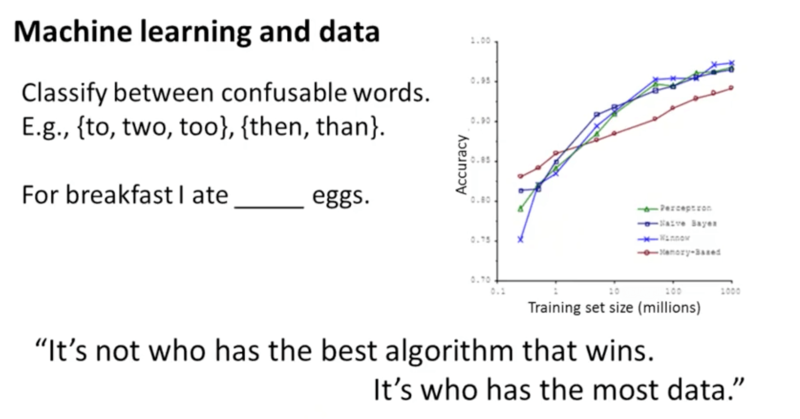 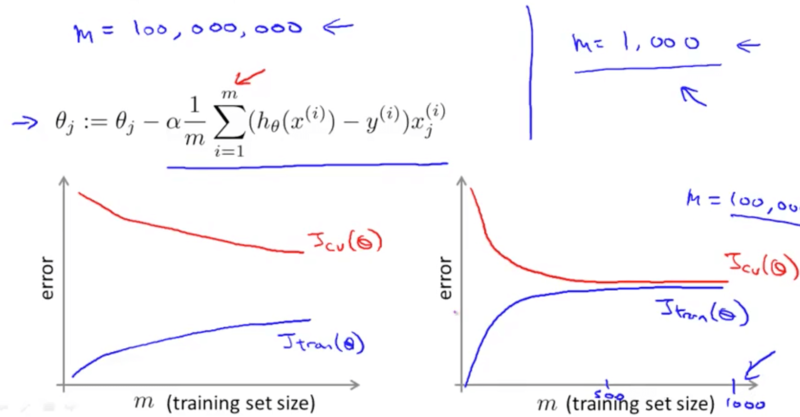 Suppose you are facing a supervised learning problem and have a very large data set (m = 100m), how can you tell if the data is likely to perform much better than using a small subset (m = 100) of the data?